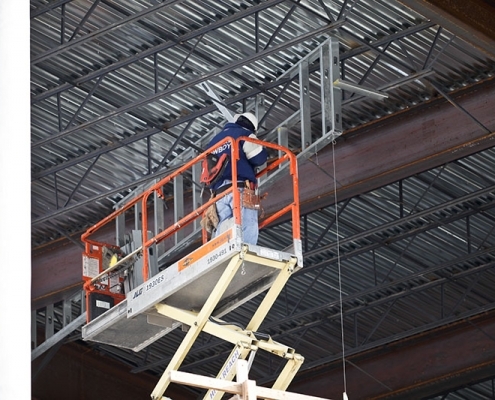 Steel framing is a construction technique that uses steel supports to form the “skeleton” of a building. 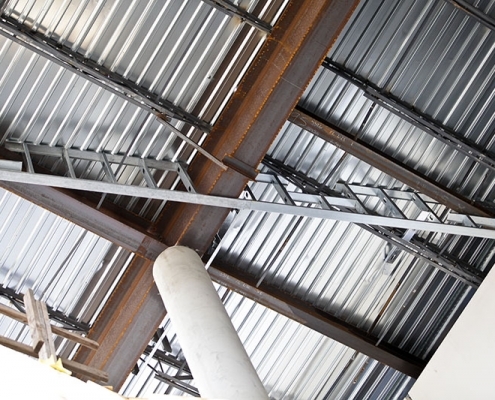 The steel frame provides structural support for other building elements, including siding, roof, floors, and walls. 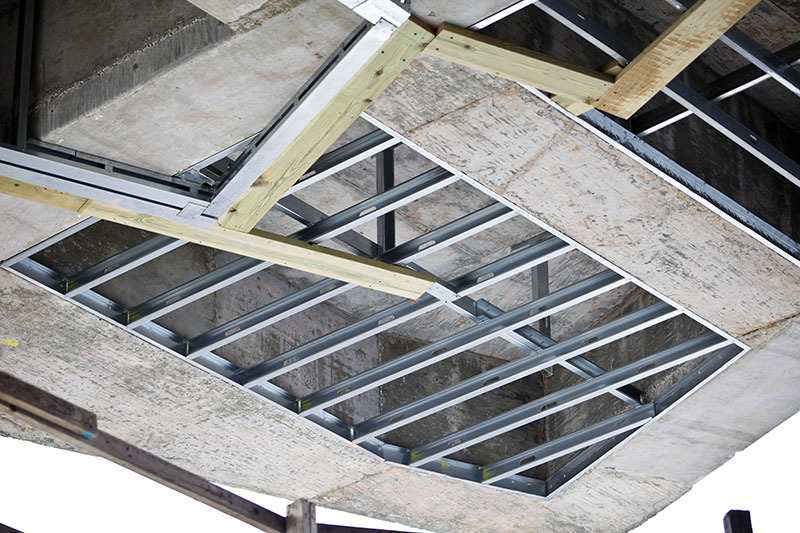 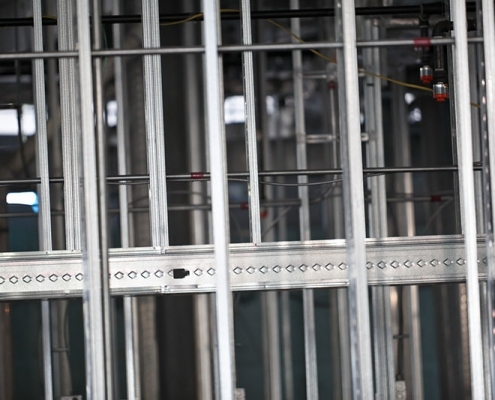 Steel framing is an alternate to other construction methods, including wood framing and modular building. 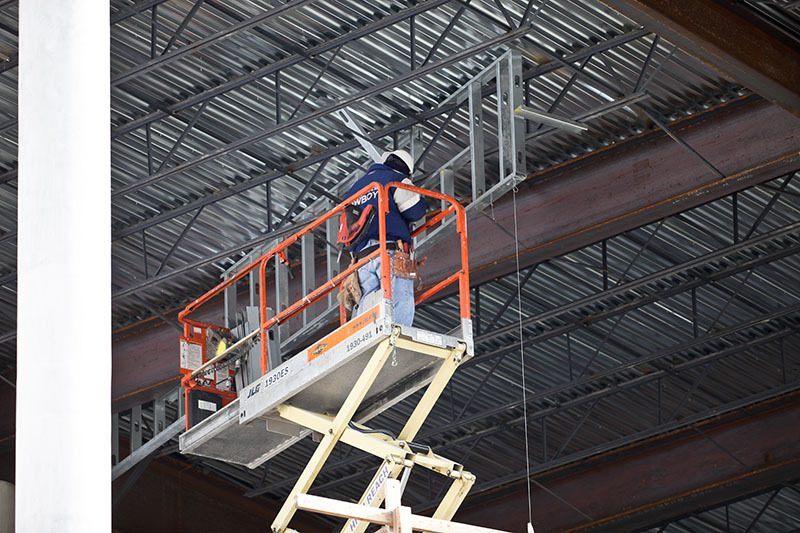 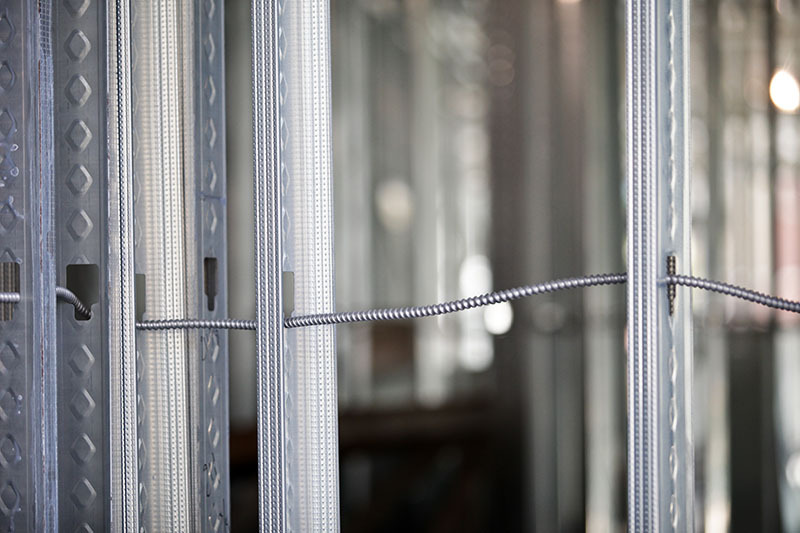 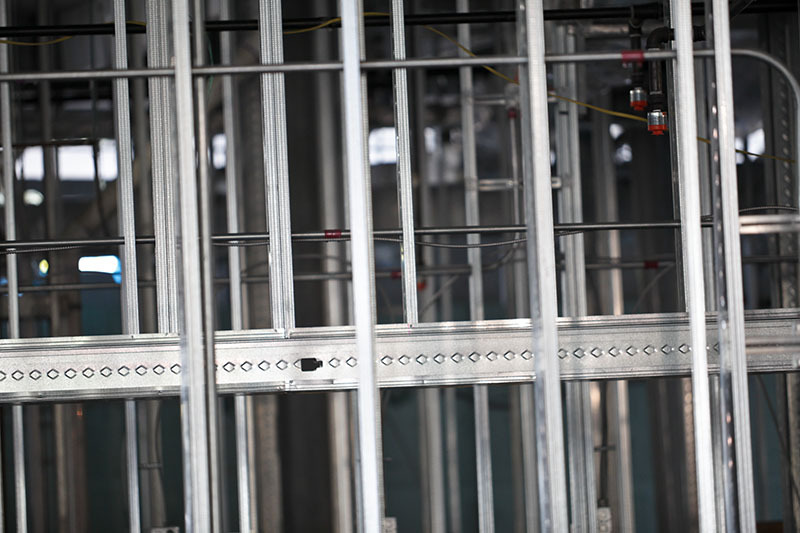 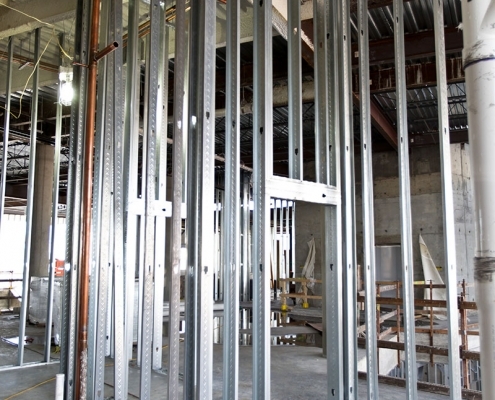 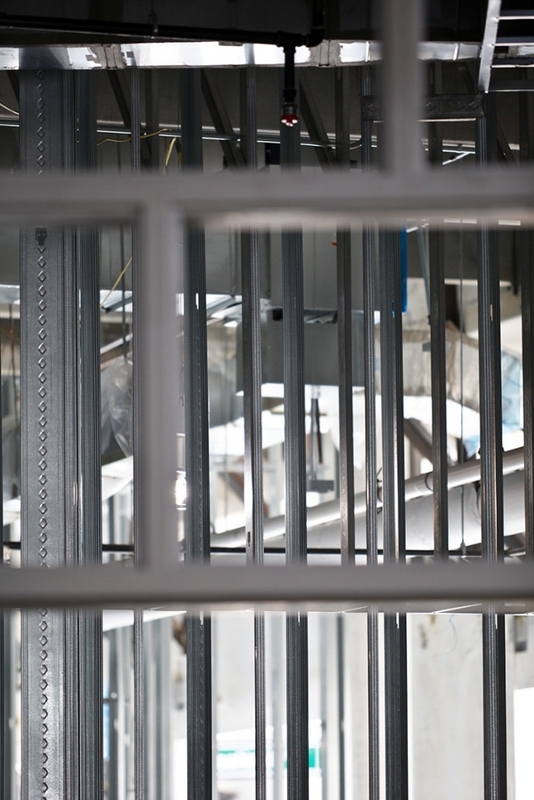 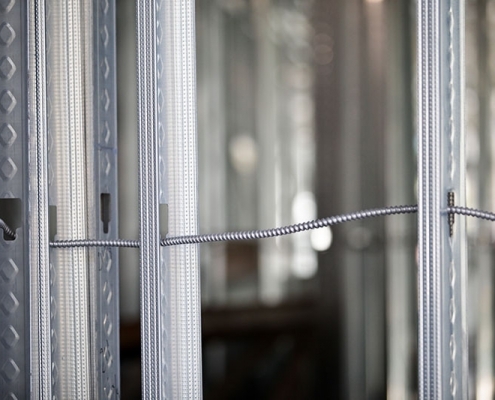 When steel framing is used to construct the interior walls of a building, it is referred to as light-gauge framing. 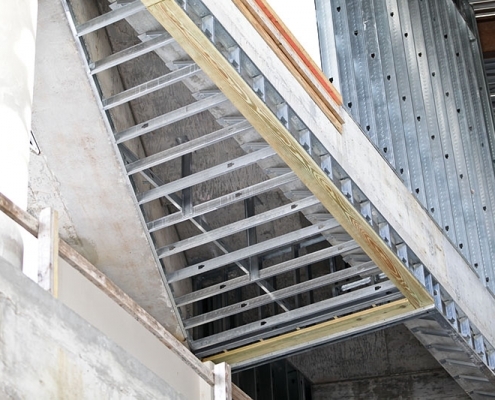 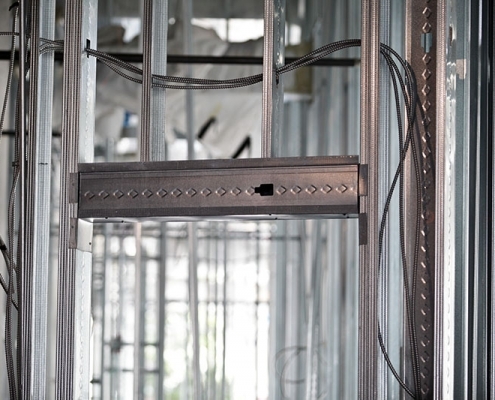 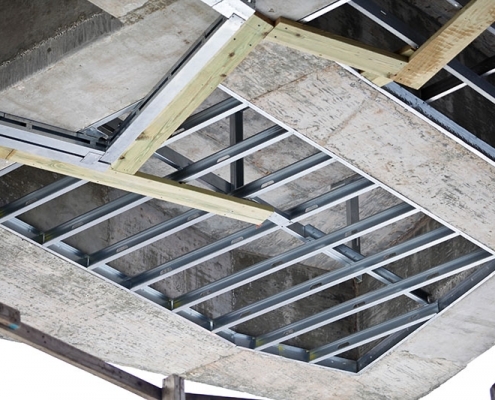 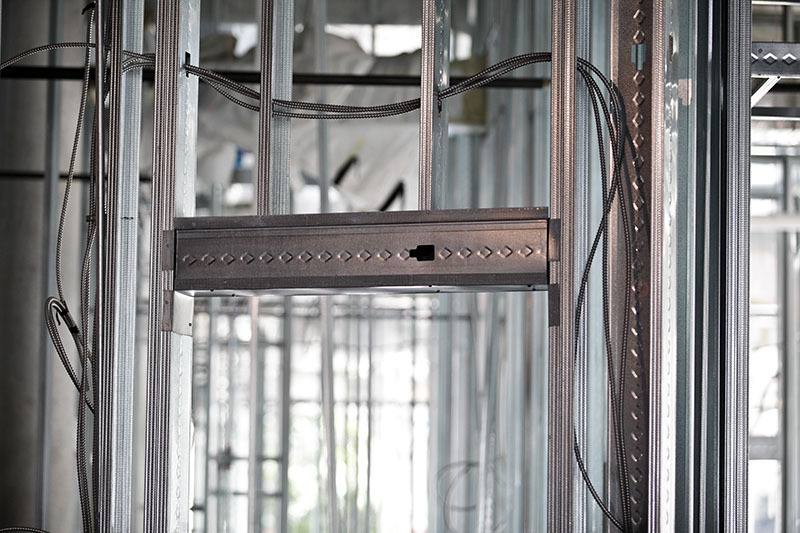 In light-gauge framing, thin sheets of steel are formed into studs or channels. 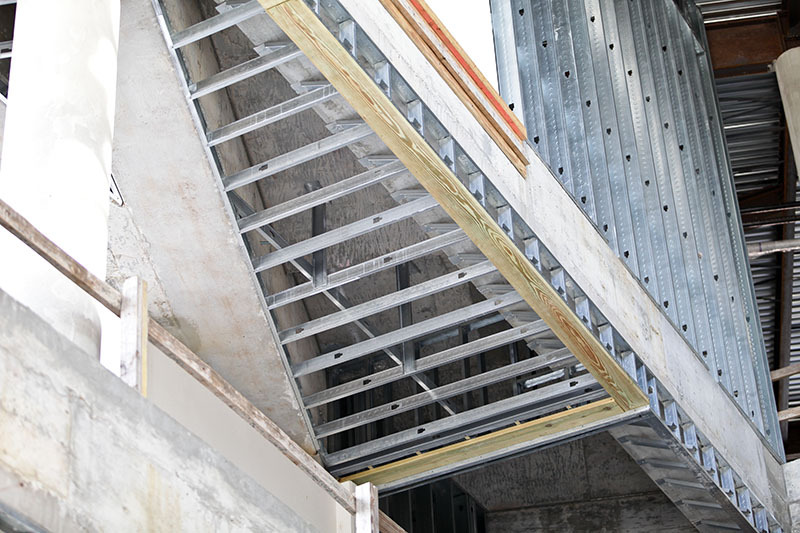 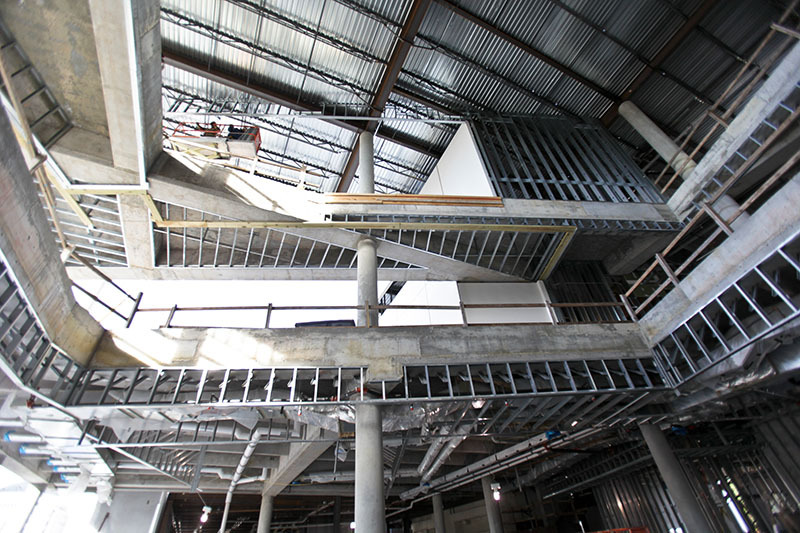 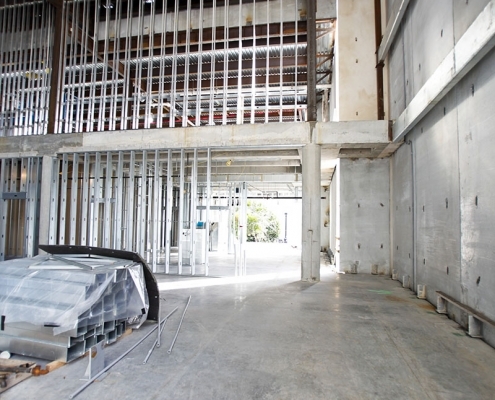 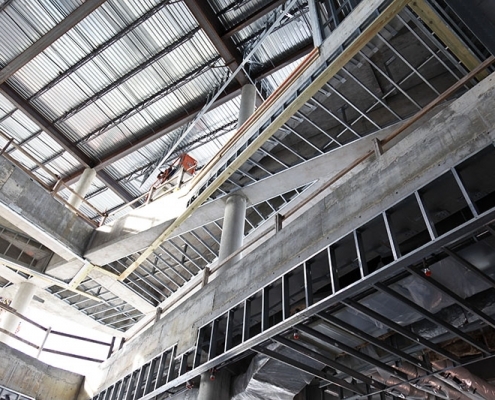 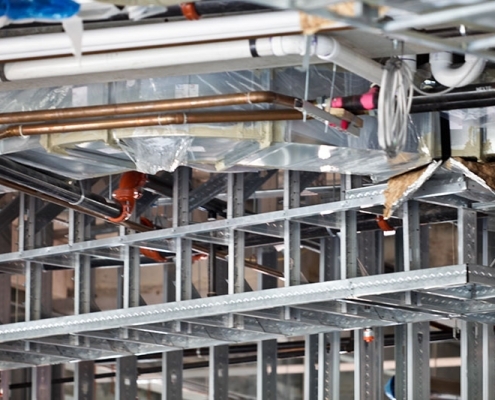 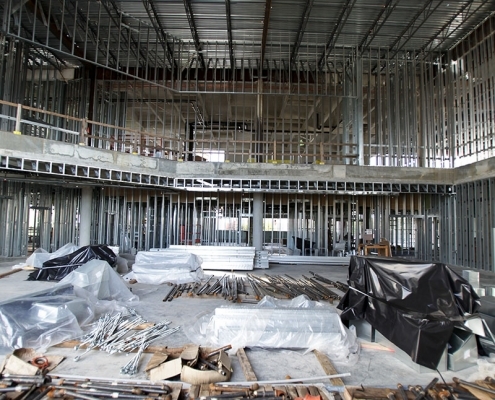 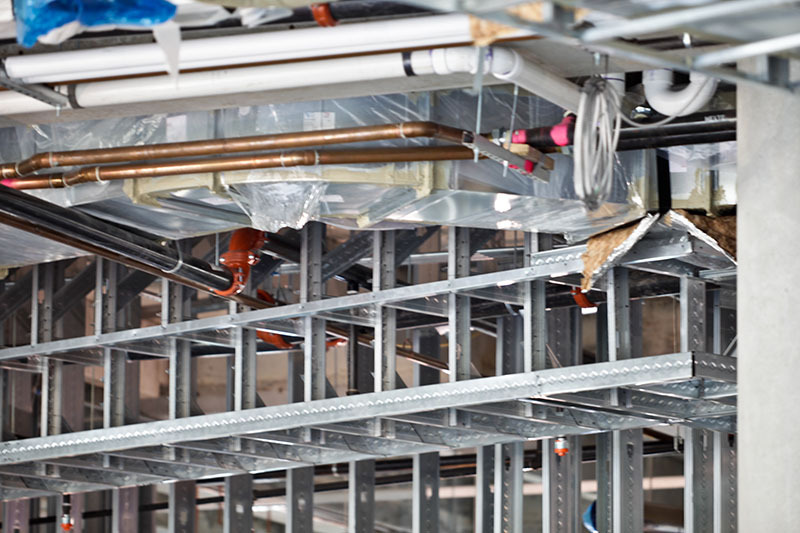 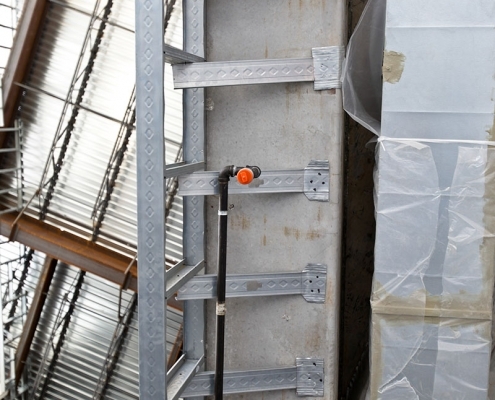 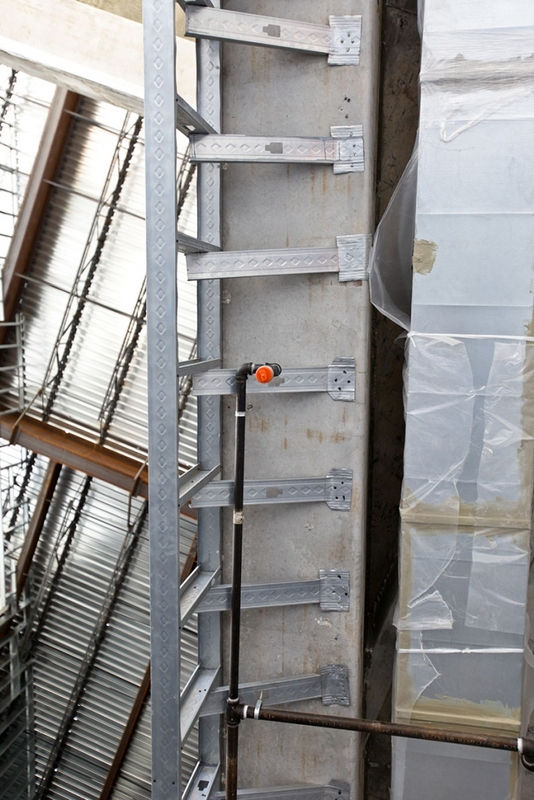 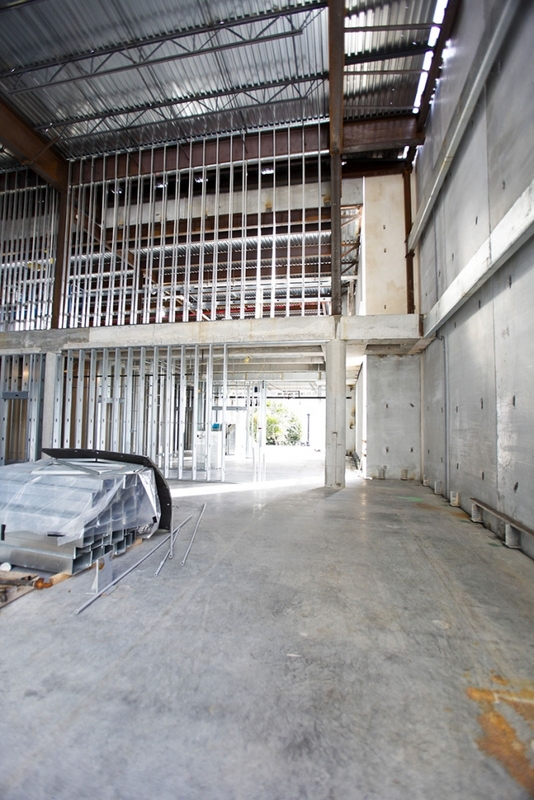 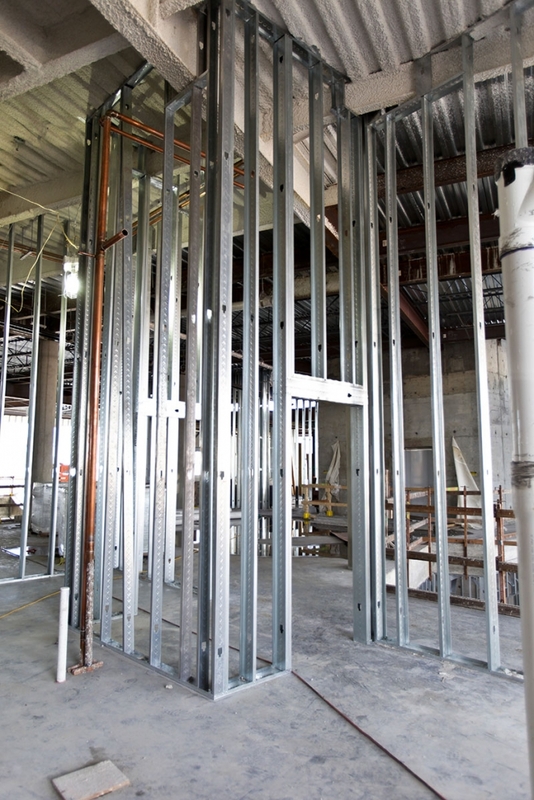 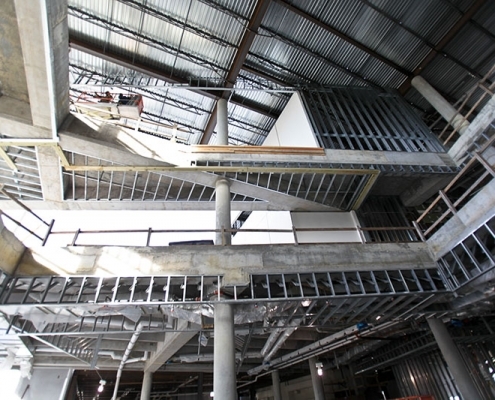 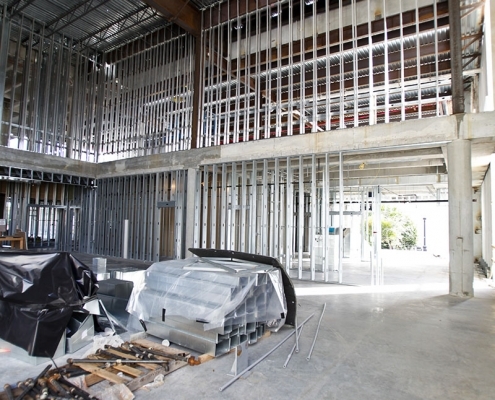 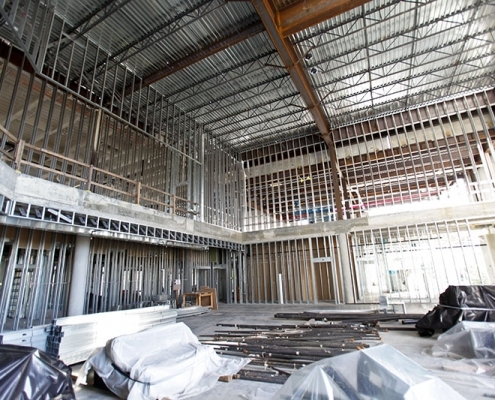 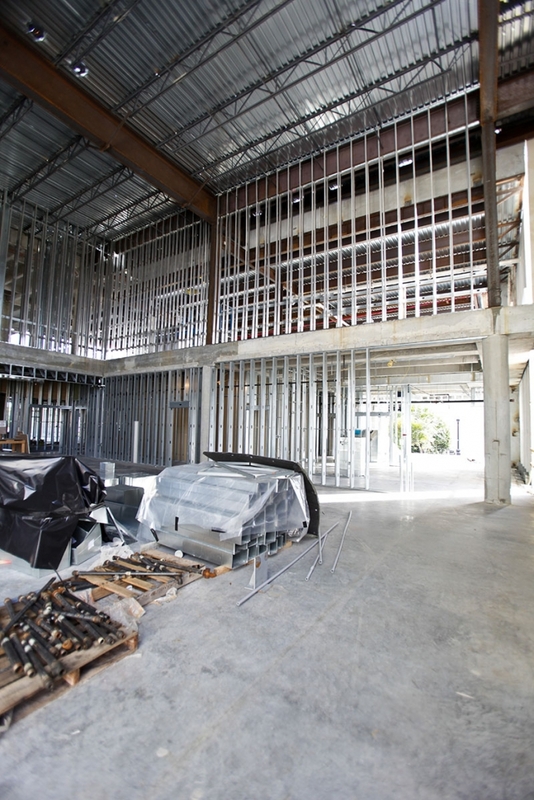 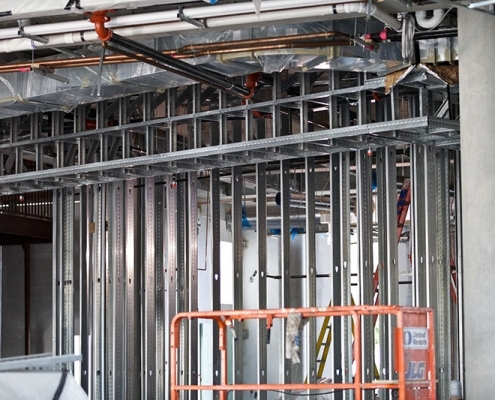 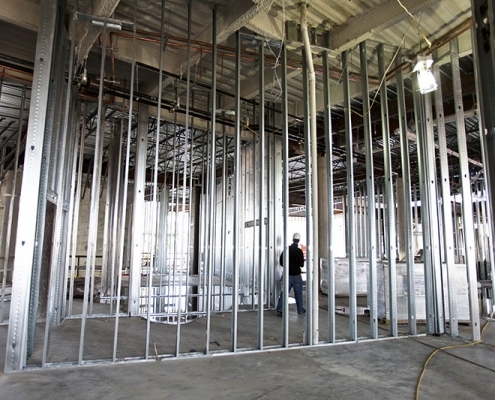 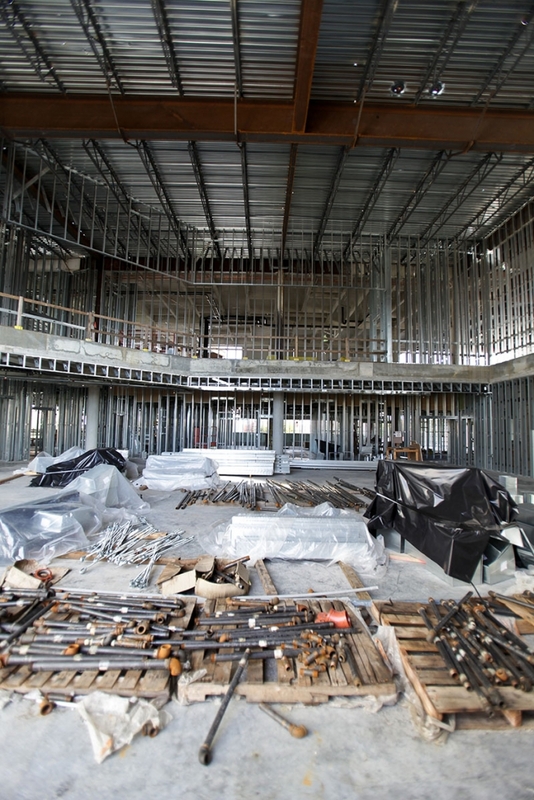 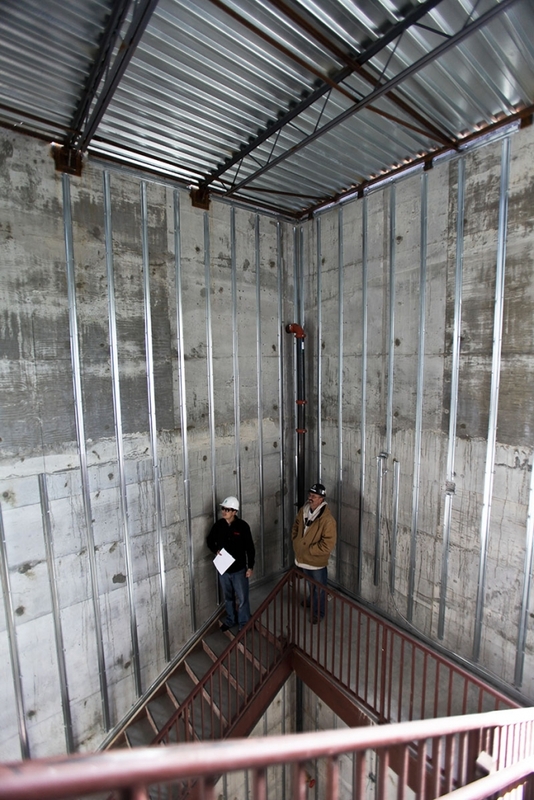 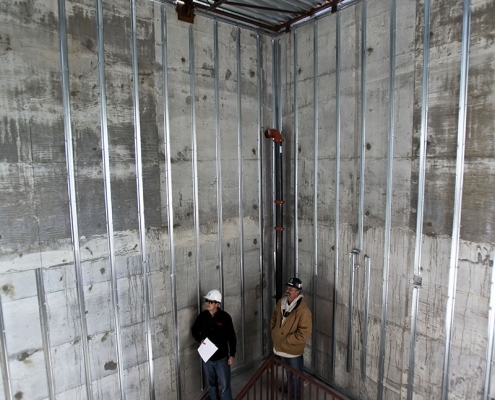 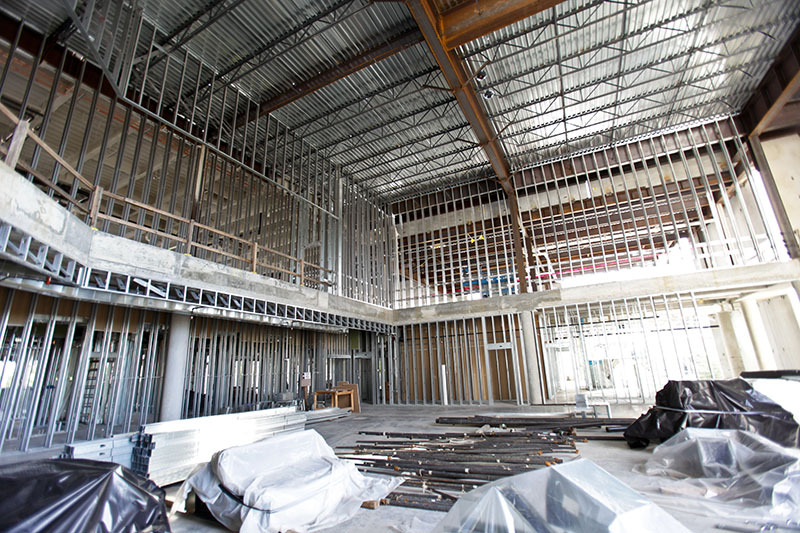 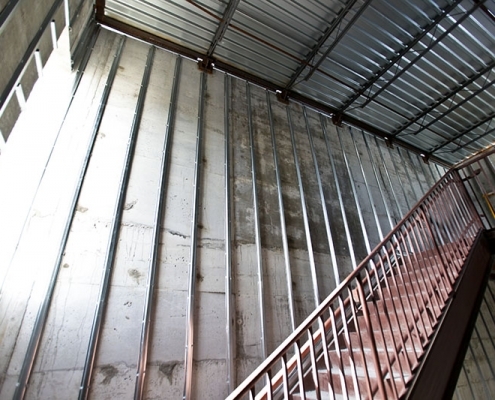 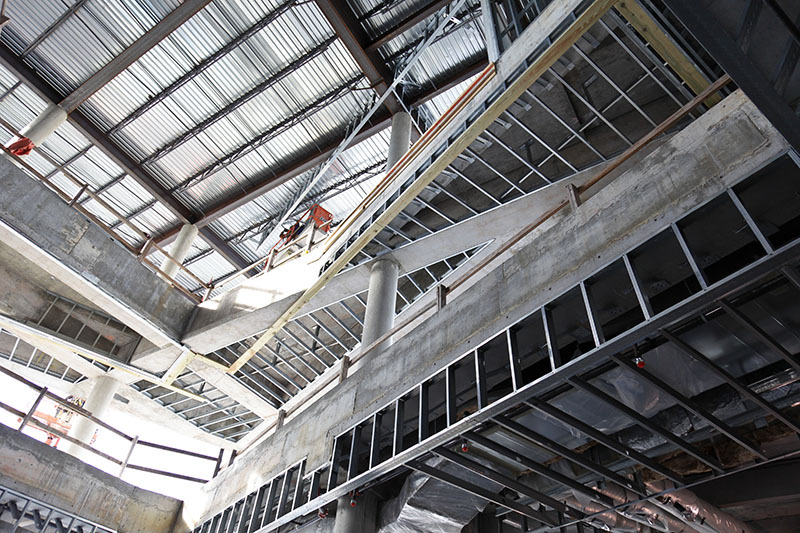 Steel studs are typically placed 16 inches on center and are covered with sheets of drywall to form the building’s walls and rooms. 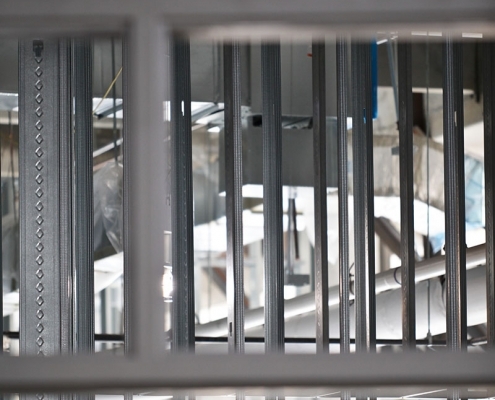 be found in wood-framed buildings. 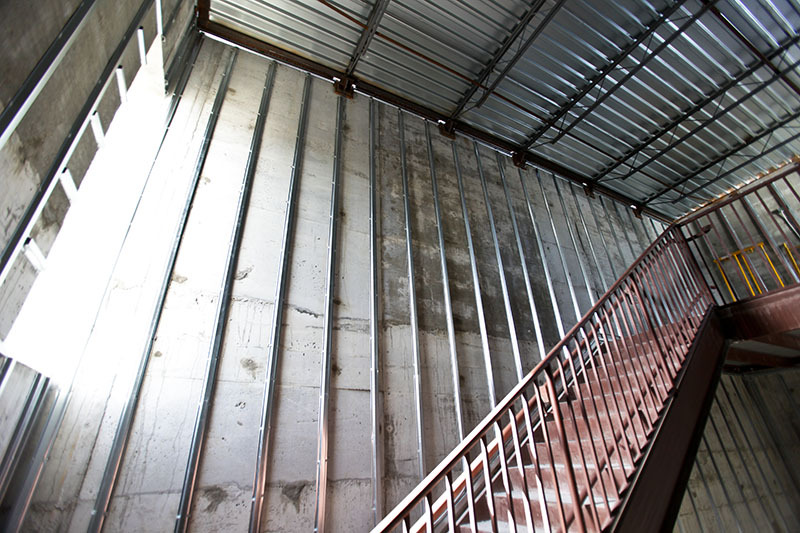 This often results in smoother and more even walls, as well as fewer structural failures. 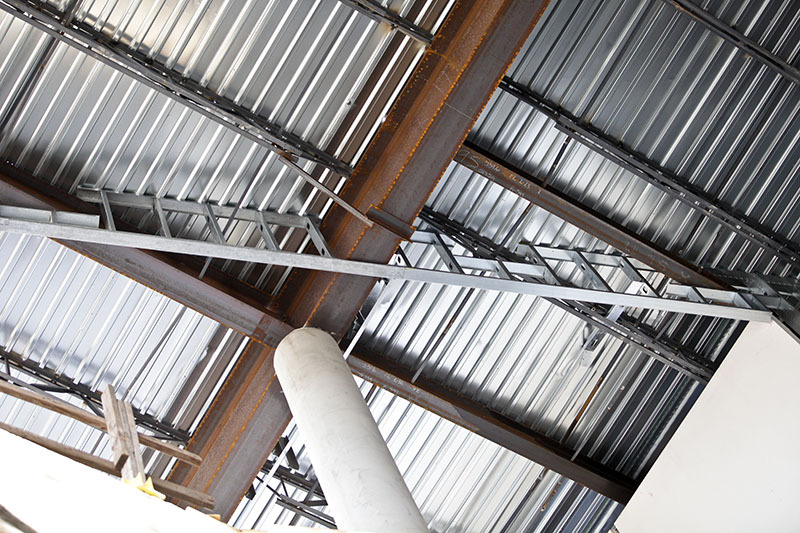 Finally, steel framing is not susceptible to the mold, rot, and insect problems that plague wood-framed buildings. 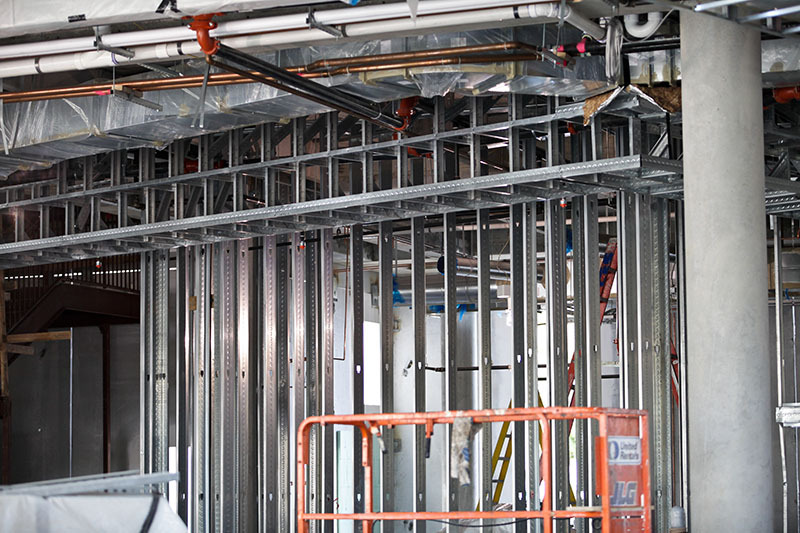 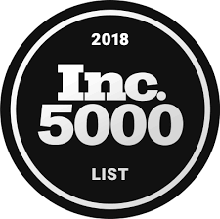 If your team is working on a commercial building project, and are in need of a superior specialty contractor to do the work, call United Wall Systems. 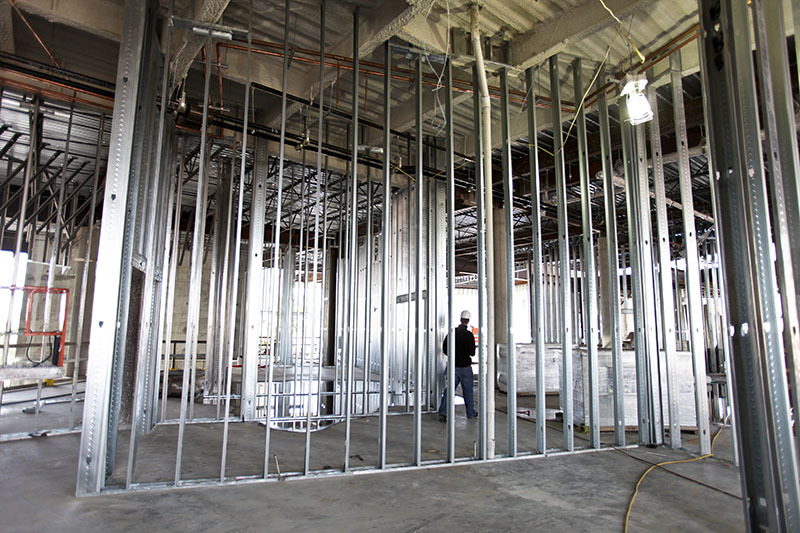 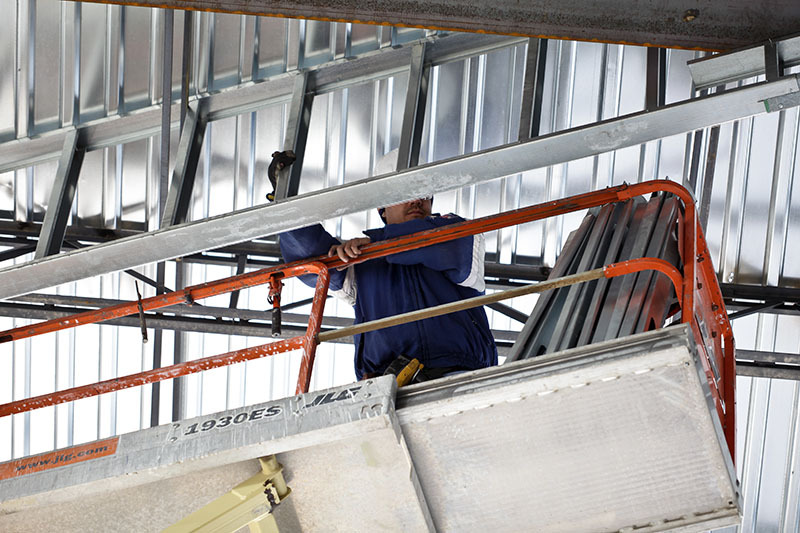 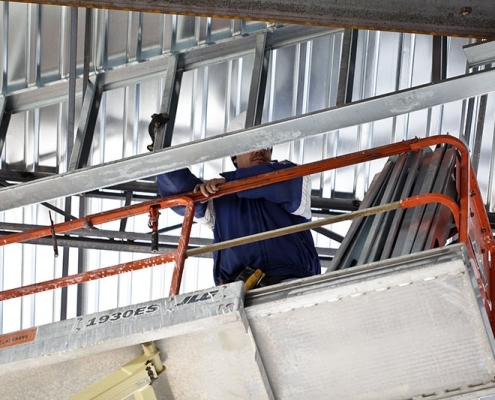 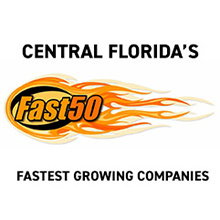 The crews at United Walls have the experience needed to complete any size commercial steel frame project.